BARCELONA (Reuters) – World number two Rafa Nadal dropped a set at the Barcelona Open for the first time in four years before advancing to the last 16, beating Argentine Leonardo Mayer 6-7(7) 6-4 6-2 on Wednesday. The Spaniard surrendered a 5-3 lead in the first set and then spurned two set points in the tiebreak, which Mayer, ranked 63 in the world, edged thanks to an impressive crosscourt forehand winner. Nadal, who has won the Barcelona Open a record 11 times, had not lost a set in the tournament since a round of 16 game against Fabio Fognini in 2015, winning 30 sets in a row until he met Mayer. Nadal was in danger of losing two consecutive matches on clay for the first time in his career following defeat in the Monte Carlo Masters semi-final to Fognini, but he bounced back immediately by breaking his opponent in the second set opener. Nadal, who was playing on a court named after him, broke the Argentine twice more in the decider to set up an all-Spanish third round tie with David Ferrer. Ferrer beat Frenchman Lucas Pouille 6-3 6-1 while Argentine Guido Pella beat six-seed Karen Khachanov in straight sets. Lucky loser Roberto Carballes Baena beat compatriot Nicola Kuhn in three sets after Fognini withdrew from the tournament following injury concerns after practicing earlier in the day. Grigor Dimitrov was in action against Fernando Verdasco while Pablo Carreno Busta was playing Benoit Paire later in the day. 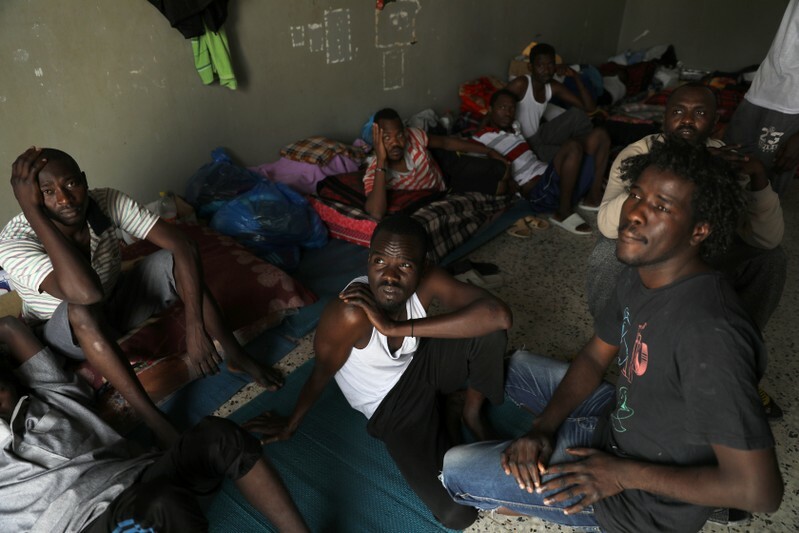 TRIPOLI (Reuters) – Libyan officials have opened the doors of a detention center for illegal migrants in Tripoli, but frightened Somalis and other sub-Saharan Africans told Reuters they had decided to stay for fear of getting caught up in fighting engulfing the capital. “We don’t want to leave…we have no place to go,” said a 20-year old migrant who gave his name as Daoud, sitting on a mattress in a warehouse where 550 migrants have been held. His pregnant wife sits in a different room. More than 3,600 jailed migrants have been trapped in the capital since forces from the east of the country started an advance to capture it, the United Nations says. On Tuesday, some 12 migrants were wounded when unknown gunmen opened fire on them in a detention center in a suburb fought over by both sides, a spokesman for the U.N. refugee agency UNHCR said. Details remain unclear. The injured migrants are being treated in a hospital. Amnesty International called for the incident to be investigated as a war crime. In the quieter eastern Tajoura suburb, the manager opened the gate of his detention center housing migrants from sub-Saharan countries such as Eritrea, Somalia, South Sudan and some Arab countries. Everyone stayed, surviving on one meal of pasta a day. On good day they get two. Large parts of Libya have been lawless since the overthrow of Muammar Gaddafi in 2011, and the country has become the main transit point for hundreds of thousands of migrants from sub-Saharan Africa and the Middle East attempting the dangerous voyage across the Mediterranean Sea to Europe. Officials have been accused in the past of mistreating detainees who are held by the thousands as part of European-backed efforts to curb smuggling. At the Tajoura detention center, authorities have not supplied any food or water since before fighting started last week, said Nour Eldine Qarilti, the director. Hundreds of migrants lay on mattresses. Others were using a kitchen to cook lunch for others for a small fee. According the United Nations, Libya is now hosting more than 700,000 people who have fled their homelands, often trekking through desert in pursuit of their dream of crossing to a better life in Europe. They then try find smugglers to put them on boats. But with Italy and France helping to beef up the Libyan Coast Guard, most now get caught before reaching Europe. WARSAW (Reuters) – Poland’s governing nationalists announced legislation on Wednesday to ensure final high school exams are held next month despite a teachers’ strike that has shut thousands of schools for more than two weeks. Teacher demands for a pay rise of up to 1,000 zloty ($260)evoke the competing demands of various groups for a slice of the fast-growing prosperity of central Europe’s largest economy, at a time when the ruling Law and Justice party (PiS) is expanding benefits for families and pensioners ahead of elections. Critics say the government lacks incentive to find extra money for teachers as they broadly oppose the PiS over accusations that it is undermining Polish democracy by seeking to impose more political control over the judiciary, the state media and other public institutions. Meanwhile, the populist PiS has announced more payments for farmers who raise pigs and cows. Teachers polled by the Rzeczpospolita daily say they earn 1,750-2,800 zloty a month after taxes. The average net salary in Polish enterprises amounts to around 3,700 zloty. Students and parents are anxious to know whether final high school exams – allowing students to apply to university – will be held as planned at the beginning of May. “The state must guarantee that in every school every exam candidate will be able to take their exam at the scheduled time, this is necessary for the peace of mind of students and parents and for the state to be seen as serious and responsible,” Prime Minister Mateusz Morawiecki said in a televised speech. He announced pending legislation that would allow school directors to grant permission for exams to go ahead if the teachers’ committees at schools remained on strike. The emergency bill is expected to be put to a vote on Thursday. Given the PiS’s majority of 237 seats in the 460-strong lower house of parliament, the announced legislation is likely to be passed. Despite a majority of Polish schools not holding lessons for a third week, final exams for children finishing primary and middle schools were held without disruptions. 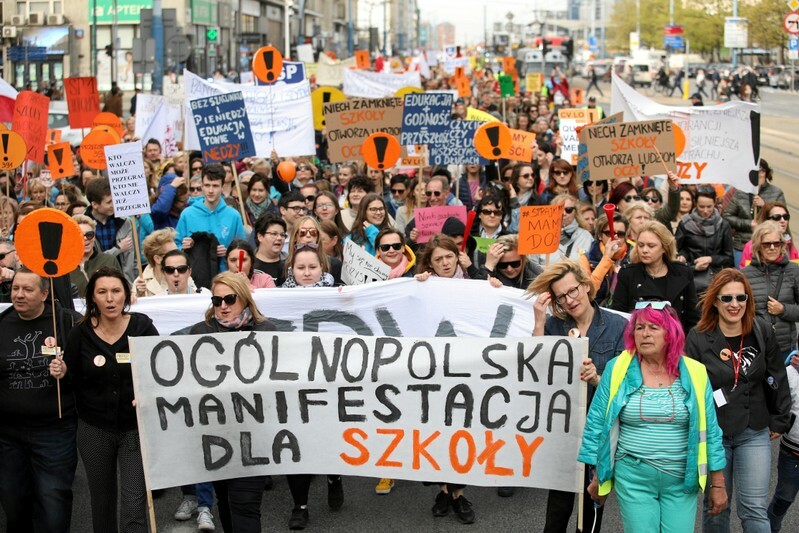 Thousands of teachers took to the streets of Warsaw on Wednesday as the strike stretched into its 17th day, brandishing placards with slogans such as “Without respect and money, education drowns in poverty”. In recent months, some opinion polls conducted before the European Parliament election in May have raised the possibility that PiS might lose power after Poland’s national election due in October or November. It is the first such signal since the strongly conservative party took office in 2015. 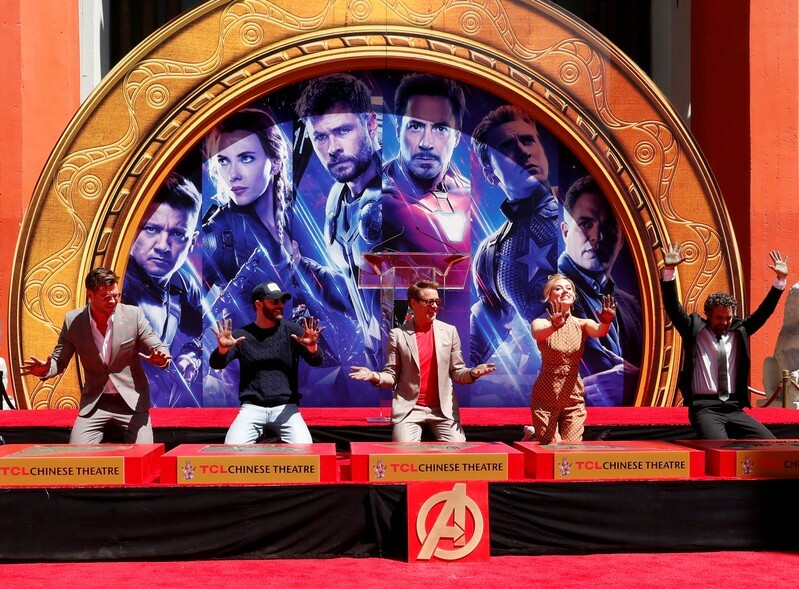 LOS ANGELES (Reuters) – Marvel superhero movie “Avengers: Endgame” set an opening-day record in China with an estimated $107.2 million in ticket sales, distributor Walt Disney Co said on Wednesday. “Endgame” is the finale of a story told across 22 Marvel films featuring popular characters such as Iron Man, Thor and Black Widow. RIYADH (Reuters) – Saudi Arabia’s energy minister said on Wednesday he saw no need to raise oil output immediately after the United States ends waivers granted to buyers of Iranian crude, but added that the kingdom would respond to customers’ needs if asked for more oil. 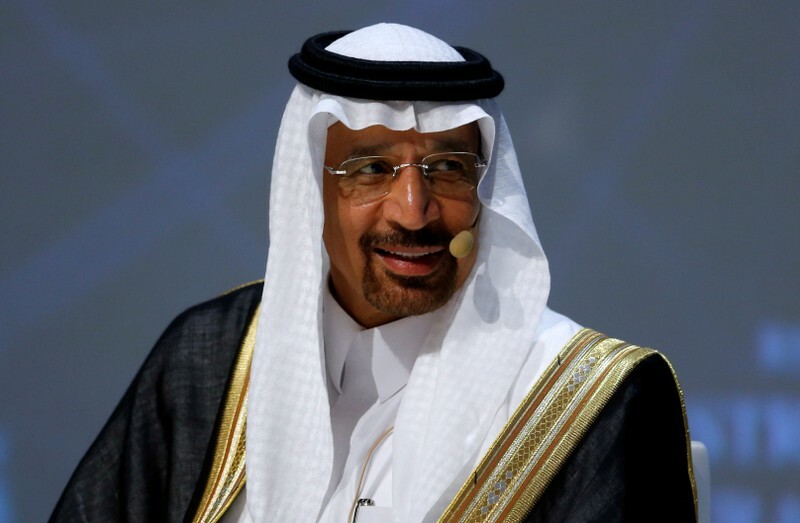 Khalid al-Falih said he was guided by oil market fundamentals not prices, and that the world’s top oil exporter remained focused on balancing the global oil market. “Inventories are actually continuing to rise despite what is happening in Venezuela and despite the tightening of sanctions on Iran. I don’t see the need to do anything immediately,” Falih said in Riyadh. The United States has decided not to renew exemptions from sanctions against Iran granted last year to buyers of Iranian oil, taking a tougher line than expected. “We think there will be an uptick in real demand but certainly we are not going to be pre-emptive and increase production,” the minister said. He said Saudi Arabia’s oil production in May was pretty much set with very little variation from the last couple of months. June crude allocations would be decided early next month, he said. The kingdom’s exports in April will be below 7 million barrels per day (bpd), while production is around 9.8 million bpd, Saudi officials have said. Under the OPEC-led deal on supply cuts, Saudi Arabia can pump up to 10.3 million bpd. Falih said there would most likely be “some level of production management beyond June” by OPEC and its allies, but it was too early to predict the output targets now. Oil prices rallied to their highest level since November after Washington announced all waivers on imports of sanctions-hit Iranian oil would end next week, pressuring importers to stop buying from Tehran and further tightening global supply. Eight countries, including China and India, were granted waivers for six months, and several had expected those exemptions to be renewed. A senior U.S. administration official said on Monday that Trump was confident Saudi Arabia and the United Arab Emirates would fulfill pledges to compensate for any shortfall in the oil market following Washington’s decision to end the Iran waivers. OPEC and industry sources told Reuters on Tuesday that Gulf OPEC producers could meet any oil supply shortage but would first wait to see whether there was actual demand. The Organization of the Petroleum Exporting Countries, Russia and other producers, an alliance known as OPEC+, agreed to cut output by 1.2 million bpd. They meet on June 25-26 to decide whether to extend the pact. A panel of energy ministers from major oil producers, known as the JMMC, meets on May 19 to discuss the oil market and make recommendations before the June meeting, OPEC sources said. FRANKFURT (Reuters) – U.S. activist investor Elliott revealed a 1.2 billion-euro ($1.3 billion) stake in SAP on Wednesday and said it supported a new management efficiency drive, sending shares in the German business software company to an all-time high. SAP has until now escaped the attention of activist investors, steered by co-founder and Chairman Hasso Plattner who has withstood tough competition from U.S. rivals and is still the biggest shareholder in the German company with 6.5 percent. Yet SAP has never achieved the 40 percent profit margins that Microsoft boasted at its height. It reported an adjusted operating margin of 24 percent for the first quarter as it grapples with a catch-up transition to cloud computing. Europe’s most valuable technology company now wants to expand adjusted operating margins by a total of 5 percentage points through 2023. “This is that magic moment that people have been waiting for where they are like, wow, nobody grows like SAP, but can I get some margin out of this growth?” Bill McDermott, the 57-year-old New Yorker who has run SAP for nine years, told Reuters. Boosting margins in the cloud – where SAP’s subscription-based products are hosted remotely – is the holy grail for a company that still makes most of its money from license fees and maintenance for software running on customers’ on-site servers. The Elliott stake of around 1 percent in SAP is the first German technology investment by the $34 billion U.S. hedge fund group, which has also urged industrial conglomerate Thyssenkrupp to restructure and called on utility Uniper to agree to a takeover by Fortum. Elliott technology-team partner Jesse Cohn and portfolio manager Jason Genrich have a track record of close involvement with the firms they back, with Cohn for example taking a board seat at online marketplace eBay as part of a deal with management on a strategy review and running activist campaigns at software firms EMC and Citrix . “Elliott fully supports the initiatives announced today,” Cohn and Genrich said in a statement. SAP’s shares have underperformed rivals Oracle, Salesforce and Microsoft in the past 12 months. It trades at a forward price/earnings ratio of 21, compared to 58 at Salesforce, an all-cloud outfit, 25 at Microsoft and 15 at Oracle, according to Refinitiv data. 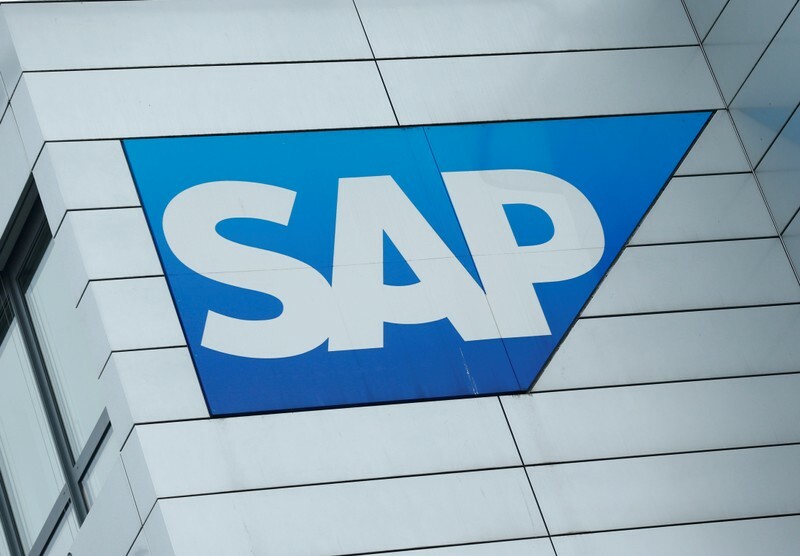 “SAP is in the fortunate position that a number of shareholders give us regular feedback – we welcome that feedback, which we take seriously, especially as we advance our plans to meet or beat our 2023 ambitions,” SAP said in response to the Elliott investment. The pivot by McDermott came as SAP reported a quarterly operating loss of 136 million euros due to an 886 million euro up-front charge arising from the announcement in January that SAP would let go of 4,400 people. After adjusting for that and other one-offs, non-IFRS operating profits rose by 13 percent at constant currencies to 1.47 billion euros, above expectations in a poll of 17 analysts. Chief Financial Officer Luka Mucic said the staffing exercise, only the second major restructuring since SAP was founded by Plattner and a group of former IBM colleagues in 1972, was on track. SAP lifted its growth forecast for non-IFRS operating profits this year to 9.5-12.5 percent at constant currencies, while also nudging up its outlook for 2020. Its shares rose 8 percent – their biggest daily gain since Nov. 2008, adding $11 billion to its market cap. That in turn lifted the Stoxx Europe 600 Technology Index by 2.7 percent to its highest since last July. SAP will update investors at a capital markets day on Nov. 12 in New York. It is eyeing a multi-year share buyback program as McDermott sets his sights on more than doubling the company’s market capitalization to $300 billion. Valuing the cloud side of the business at 10 times revenues – in line with industry peers – gives a figure of $200 billion based on projected 2023 revenues, McDermott said. Add to that a core revenue multiple of 4-5 times gives another $100 billion. “It’s just simple math,” he told Reuters. DNA Force Plus is finally here! Now you can support optimal energy levels while adapting your body to handle the daily bombardment of toxins to overhaul your body’s cellular engines with a fan-favorite formula. WASHINGTON (Reuters) – President Donald Trump is expected to tout his fight against opioid abuse in remarks in Atlanta on Wednesday, a day after his administration brought its first related criminal charges against a major drug distributor and company executives. America’s opioid epidemic, especially damaging in rural areas where Trump is popular, has been a focus for the Republican president. Little has come of Trump’s calls for executing drug dealers, but on other fronts the administration has taken some action. 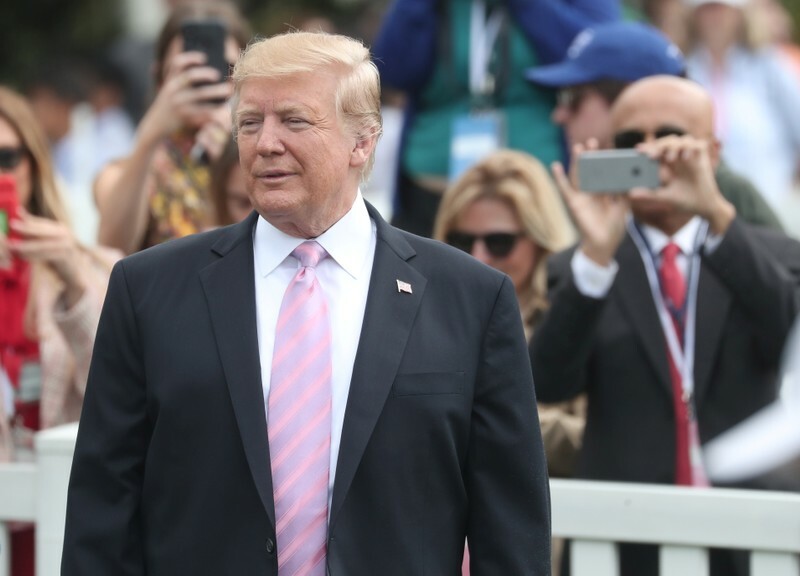 Trump has worked to boost funding for treatment and raise awareness of the problem. On Tuesday, the government charged Rochester Drug Co-operative Inc and executives of the major drug distributor. The company agreed to pay $20 million and enter a deferred prosecution agreement to resolve charges it turned a blind eye to thousands of suspicious orders for opioids. Deaths from opioid overdose in the United States jumped 17 percent in 2017 from a year earlier to more than 49,000 according to the Centers for Disease Control and Prevention. Deaths from synthetic opioids like fentanyl surged 45 percent in that time, according to the CDC. Hundreds of lawsuits by state and local governments accuse drugmakers such as Purdue Pharma of deceptively marketing opioids, and distributors such as AmerisourceBergen Corp, Cardinal Health Inc and McKesson Corp of ignoring that they were being diverted for improper uses. Trump has said he convinced Chinese President Xi Jinping in a December meeting in Argentina to designate fentanyl as a controlled substance. Trump declared the opioid crisis a public health emergency in October 2017. He plans to provide an update on his administration’s work on the issue at the Rx Drug Abuse and Heroin Summit, a White House spokesman said. Trump has used the crisis to support his call for building a wall on the border with Mexico, saying it would help keep out drugs and curb the crisis. Heroin from Mexico accounted for 86 percent of the heroin found on U.S. streets, according to the Drug Enforcement Agency’s most recent annual narcotic report. Heroin, unlike fentanyl, is derived from the seeds of the opium poppy plant. Last week, U.S. health officials said they will spend $350 million in four states to study ways to best deal with the opioid crisis on the local level, with a goal of reducing opioid-related overdose deaths by 40 percent over three years in selected communities in those states. MILWAUKEE, Wis. (Reuters) – As a record-breaking economic expansion nears the decade mark, people like Marty Groth may determine whether it is forced into a lower gear. Not long ago, the 60-year-old Groth found himself out of a job and considered retiring on a pension built over a career of maintaining computer servers and printers. Instead, he returned to school to update his computer skills and will soon join a Wisconsin labor force that is decidedly short of workers. Over the last three years, around 3 million Americans over 55 joined or rejoined the workforce, federal data show. The addition of these older workers not only contributed to economic growth, experts say, but helped stop a national decline in the share of adults working or looking for work. From healthcare to manufacturing, companies in places like Wisconsin are taking longer to hire as they struggle to find workers; some have delayed projects, others have become more willing to hire ex-convicts and less experienced workers bypassed when labor markets were looser, local officials say. Blue-collar workers are putting in more hours, data show, while overall labor productivity is increasing. Nationally, wages are rising. The upshot, according to policymakers, business executives and labor experts interviewed by Reuters, is that the labor market may be nearing its limits. Over a long enough period, labor shortages can spark investment and raise productivity as companies retool. They can also improve opportunities for minorities with unemployment rates higher than those for whites. But in the short run they pose a drag. The corridor connecting Chicago to Milwaukee is a testament to the long-running economic expansion. This is not the Wisconsin of pastures and dairy farms, but a landscape brimming with fulfillment centers and factories. A new interstate lane will allow autonomous trucks to deliver supplies for a high-tech plant being built by China’s Foxconn. 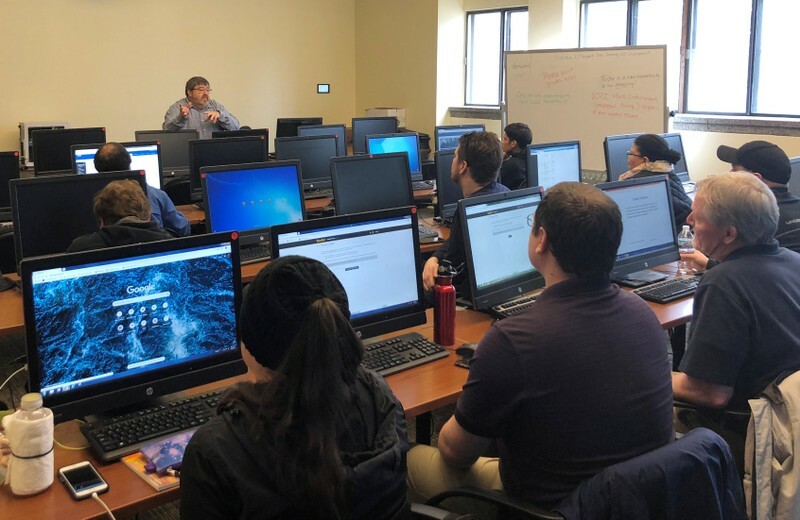 But the combination of low unemployment and an older population puts Wisconsin at the leading edge of where the country’s workforce as a whole is heading. It is also a political battleground state, meaning the health of its economy will likely have consequences for the 2020 presidential election. Democrats will hold their convention in Milwaukee next summer. Wages in Wisconsin rose 5 percent in 2018, compared to around 3 percent nationally, and the unemployment rate hit a record low 2.9 percent for several months in 2018 and again in February. Sarah Condella, senior vice president for human resources at Exact Sciences Corp, is among them. She joined the Madison-based company in 2012 when it employed 50 people and oversaw its growth to roughly 2,000 workers as doctors expanded use of its colorectal cancer test. Along the way, Exact Sciences lifted starting pay to $15 an hour, roughly double the state’s minimum wage. It added perks like bus passes and flexible shifts and has plans for food service at its expanding campus. Still, it has more than 400 vacancies, and the time to hire entry-level workers has grown from fewer than 30 days to around 45. Finding them requires radio ads, billboards and other tools not typical for a life sciences company. It is a story repeated across Wisconsin. Banking officials say deals are being delayed because supply chains are clogged and service companies booked, nipping the financial sector’s potential. Half of respondents to a survey by the Wisconsin Manufacturers & Commerce trade group cited labor shortage as the top issue facing companies and the state, ahead of healthcare and regulation. A majority said they planned to increase wages at least 3 percent as they add headcount this year. Coupled with productivity, the number of people working is the core reason economies expand, and the expected slow growth of the labor force a main reason why Federal Reserve officials and others expect the U.S. economy will cool. Scott Jansen, chief operating officer of Employ Milwaukee, said his work is an exercise in finding anyone available. A semi-trailer packed with advanced machine tools now tours state prisons so inmates can be released with an in-demand skill. In Milwaukee, his agency works through churches and community groups to contact the homeless, the less educated, immigrants and others who might be reluctant to appear at a government office. Today, Jansen said, employers are more willing to adapt job requirements to disabled workers, and more open to hiring those hardest hit during the financial crisis, like ex-convicts and those coping with addiction. Throughout his 20s, Lee Baumann said he bounced between idleness and marginal jobs as he battled opioids. After training as a computer technician he was hired by Northwestern Mutual and is now a senior technical analyst. “That life took me away. Three years of solid use,” Baumann said. A recent promotion raised his pay to $20 an hour, and he is saving to finish his associate degree. Nationally, the labor force participation rate for prime-age workers like Baumann between the ages of 25 and 54 reversed a long decline around 2013. It is now near the peak hit in the 1990s. It was largely people like Groth, the 60-year-old who is back in school, who padded the workforce. According to the Bureau of Labor Statistics, that over-55 age group was the only one whose participation rate grew from 2006 to 2016. A recent study by economist Jay Shambaugh and others for the Brookings Institution concluded the decision of so many older workers to remain in the workforce, or rejoin it, was the main reason the U.S. participation rate stabilized at around 63 percent. But even that group cannot be relied upon: Some 226,000 over-55 workers left the labor market in March, the most in nearly three years. Even if people like Groth are motivated to work a bit longer, they will eventually leave. Wisconsin will see that frontier first. The share of state population over 55 jumped from 26 percent to over 30 percent from 2010 to 2017; the share 65 and over, a traditional retirement plateau, jumped from 13.6 percent to 16.4 percent, according to census data. Factbox – Brexit delayed: What happens next? 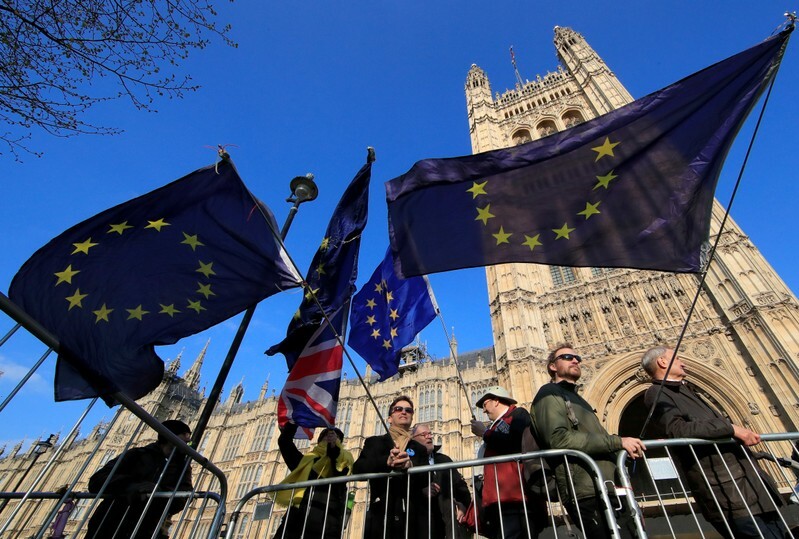 LONDON (Reuters) – Britain’s exit from the European Union was postponed by an agreement in Brussels this month that gave Prime Minister Theresa May until Oct. 31 to persuade parliament to approve the departure terms. May has so far been unable to get the exit package she agreed with the EU last year approved by the British parliament, meaning Brexit day has been pushed back to avoid leaving without a deal. May hopes Britain can leave the EU before it has to take part in elections for the European Parliament on May 23. But, the timetable is tight. May has taken the unusual – and among her own Conservative Party, unpopular – step of turning to the opposition Labour Party to try to find an exit deal that will win the support of a majority in parliament. These talks have been going on since April 3. The government says while the talks are “serious”, one area of difficulty has been agreeing a timetable for how long they should take. Labour says the government has yet to concede any ground. After a short break, lawmakers returned to parliament on April 23, having been asked by May to reflect on how to break the Brexit impasse. If no deal with Labour can be reached, the government is proposing to put different options to parliament to find a workable plan. Details of this process are yet to be announced. The government has less than a month to take all the steps it needs to complete to keep to May’s timetable of leaving before European Parliament elections. Elections to local and regional government take place in certain parts of the country. These will be used to gauge the electoral impact that failing to deliver Brexit on schedule has had on May’s Conservative Party. If they go badly, it could increase pressure on May to step down. Britain is due to participate in elections for the European Parliament. May wants to be able to cancel these elections and lead the country out of the EU before this date. To do that she will need to win a vote in parliament approving a Brexit deal and pass the legislation to implement it. Both stages are difficult because lawmakers are divided over the best way forward. If May cannot deliver Brexit by this deadline, the elections will go ahead and eurosceptics in her party are likely to increase their calls for her to resign and give a new leader the chance to pursue a different path. However, there is no formal mechanism by which lawmakers can oust her without also raising the possibility of a general election and a Labour government. JUNE 1 – NO DEAL DAY? If Britain does not take part in the European Parliament elections and has not ratified an exit deal, the country will leave the EU without any formal agreement on June 1. This was set out on April 11 when the EU agreed to offer May more time. Britain’s EU membership is due to end on Oct. 31, with or without a deal. If a deal has not been agreed and ratified by then, the government will face the choice of leaving without a deal, seeking more time or cancelling Brexit altogether.